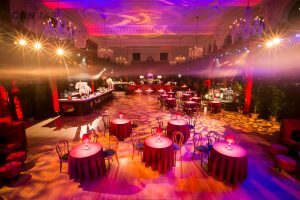 Sourcing a location for your charity event can be a hefty task- ensuring the venue caters to all of your specific needs for your event, whilst at the same time setting the right tone for the evening you are aiming for. 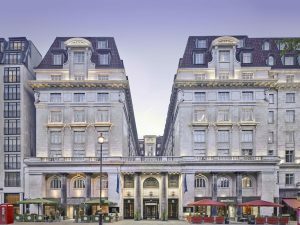 One of London’s most iconic 5* hotels, the Dorchester is the perfect choice to host a ball. The ballroom’s 1930’s art deco inspired interior is sure to leave an impression on your guests. The ballroom has its own private entrance on Park Lane, leading into the venues reception area – perfect for pre-dinner drinks; before your guests making their way into to the main banqueting area. The venue can hold up to 1,000 attendees. The Grade II listed venue boasts oozes understated elegance and has been home to many A-list events in the past. The Main Hall can cater for up to 400 seated guests, the lavish décor and engraved ceiling is sure to set the ideal backdrop to your event and is sure to leave an impression on your guests. The 1920’s inspired 11,000-square-foot ballroom, is the perfect setting for any charity gala. The Grade II listed ballroom is spread across three floors, make the venue a versatile space to use to your events needs. 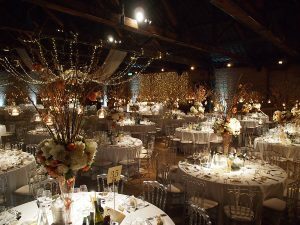 The venue can hold up to 500 guests for dinner and also includes a sprung maple dance floor and built-in stage to utilise. Occupying the old Whitbread building, this 18th-century brewery has been revitalised as a unique London venue in the heart of Old Street. The venue features 6 unique venue spaces, which can cater for 40 – 1,600 guests as a versatile venue space to cater to your specific event requirements. 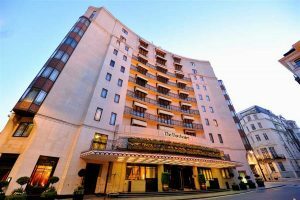 The Whitbread Breweries has seen visits from George III, Queen Charlotte, Queen Elizabeth II and Elizabeth the Queen Mother- making this unique venue a fantastic talking point amongst your attendees. If you would like to speak to us about how we can help you raise funds at your charity event, please contact us.